Step 1: First apply base coat and then a thick layer of navy blue polish. 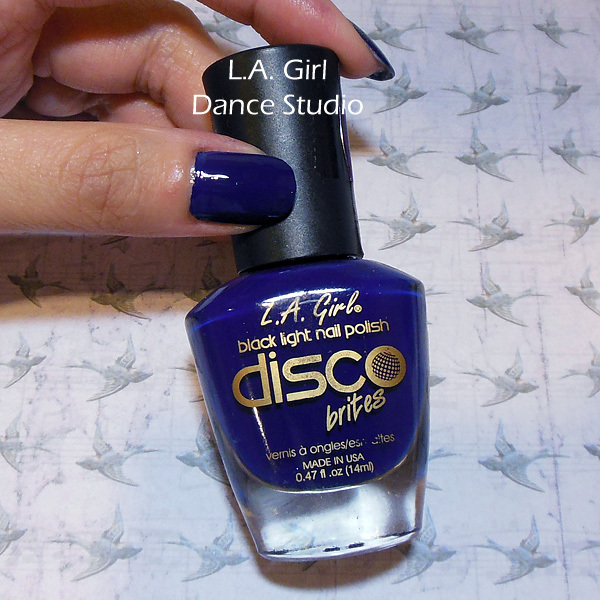 This one from the Disco Brites collection is one of my favorites because usually just a single thick coat is enough for the color to look opaque. 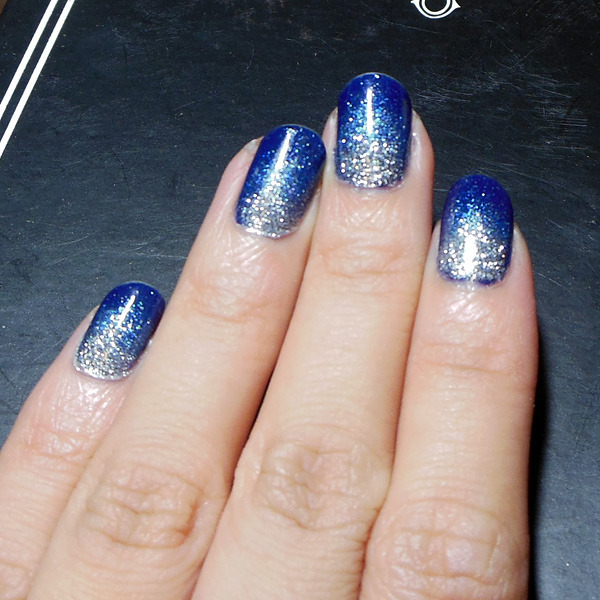 Let dry for a couple of minutes. Step 2: When the polish is dry, brush on a thin layer of repositionable glue or nail foil adhesive; these are the things that set clear and sticky, which is crucial for the next step. 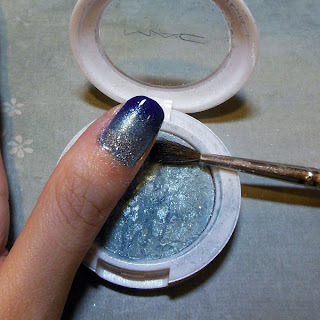 Step 3: Once the glue goes completely clear, you can use a small paint brush to lightly dust silver glitter onto the "heel" of your nail in a rough semi-circle or triangle shape. Step 4: Next, use the same dry brush to pick up some soft blue shadow and dust it around the edges of the silver. 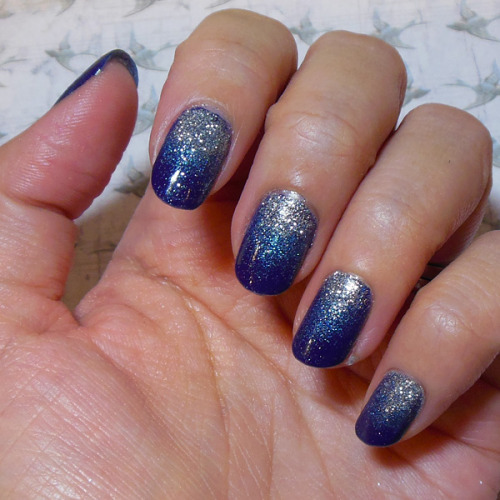 This creates that ombre "fade" effect. 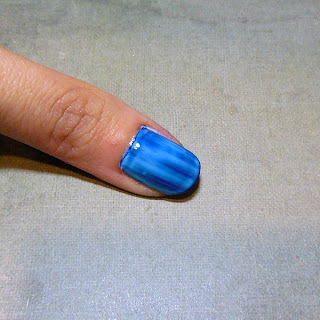 Step 5: It's best to let everything rest for a few minutes before you apply topcoat, as it could cause the glue beneath to seize and wrinkle if you apply too soon. 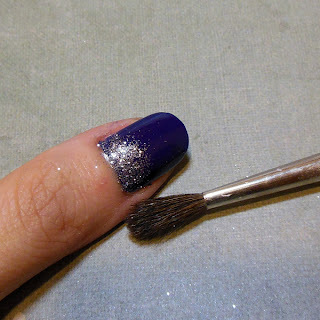 If you applied a lot of glitter, you might need to do about 2 coats for the surface to be smoothed out. Very straightforward, and takes very little time (or expertise) to do! Best Language Interpretation Services is now available in India, winsome translators is best of the best translation company who are offering free translation services.